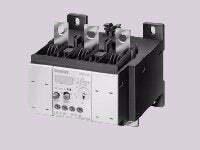 Also available is a Class 20 relay for long-acceleration-time loads. Smaller sizes in both Class 10 and Class 20 are also available. For bolt connection or for wire pass-thru.